Five ways to connect a Phoenix large-bin composting system to various toilet commodes. Typically, large bin compost systems can accommodate up to three waterless toilet commodes, attached to a large bio-chamber by a 6- to 12- inch diameter chute. For situations where a toilet cannot be installed directly above the bin—or where more than four toilets have to be connected to one bio-chamber—several options are available using water to transport the waste. One thing to keep in mind, however: toilets that use water will create more leachate than waterless toilets. 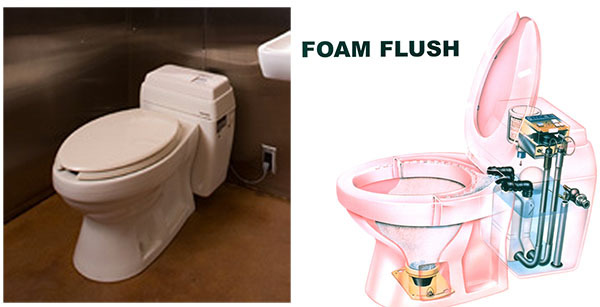 A foam flush toilet uses three ounces (about one-third cup) of water to make one cup of soapy foam for each use. The foam is spread on the bowl’s inner surfaces, which allows the waste to slide down a four-inch diameter chute to the compost bin. This chute does not have to be located directly above the bio-chamber. In order to function, it must have a minimum slope of 45 degrees downward to the bin. 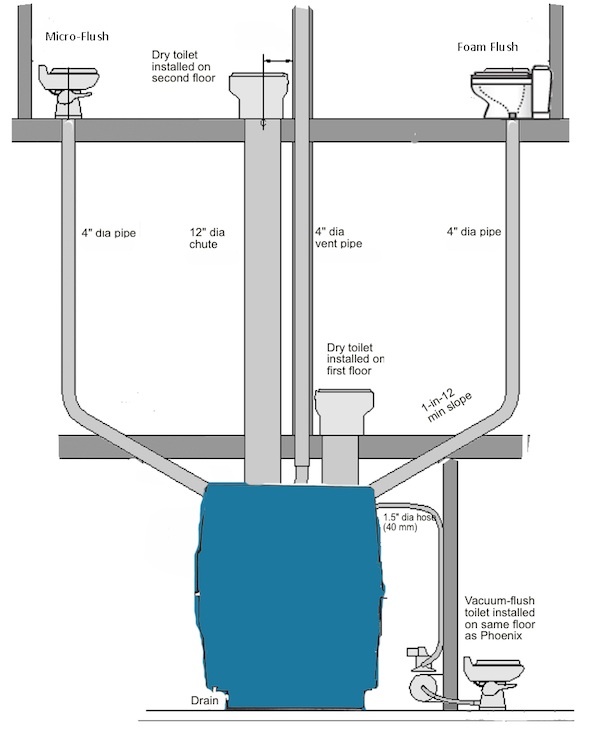 A gravity micro-flush toilet uses one pint of water per flush. It can be offset horizontally from the bio-chamber by a maximum of ten feet, and needs a minimum slope of one-in-ten. It does not use electricity. A vacuum flush toilet uses air to draw the waste and flush water into a bio-chamber that is situated at the same level or below the toilet. 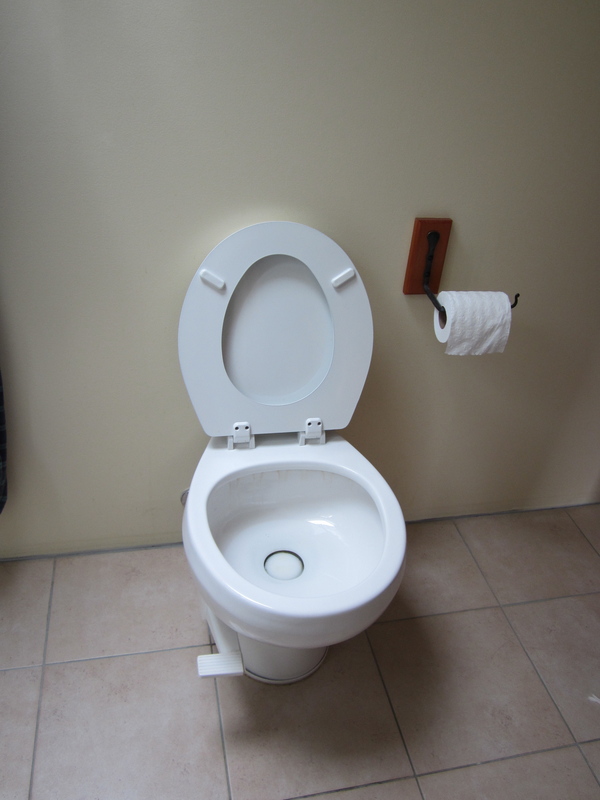 A vacuum flush toilet uses one pint of water per flush and is powered by a vacuum generator. The discharge plumbing maximum horizontal run is 20 feet and vertical run an additional six feet.